Whether we want to admit it or not, the holiday season is upon us. We have approximately four weeks to get our homes into shape for guests! 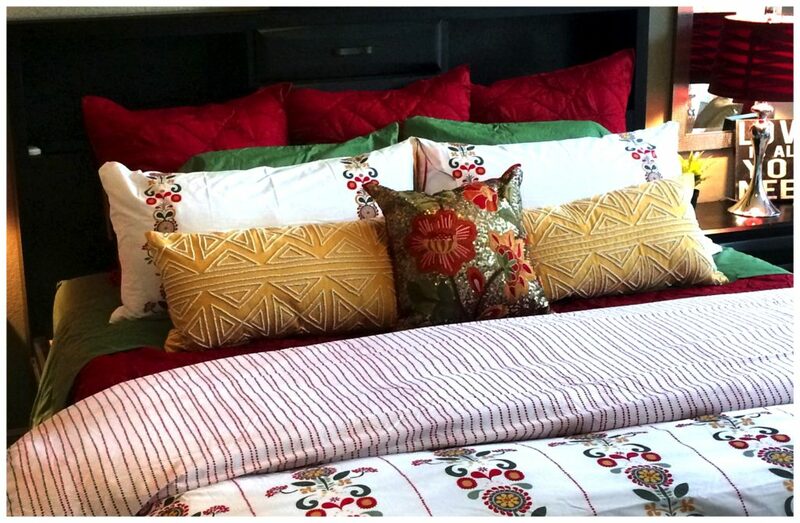 Refresh your bedding with a duvet and down insert and throw on some funky accent pillows. I don’t care if it’s your mother, your brother, or your elderly Aunt Edith…nobody likes to sleep under old, faded bedding. Try to incorporate a place to read and unwind alone at the end of the day. Make sure there a place to put a suitcase, or provide a couple of drawers in the dresser to unpack for their stay. Provide thoughtful amenities…such as a pretty tray containing lavender-scented lotion, a water glass, individually wrapped chocolates and a mini floral arrangement. These things do not have to cost much…as a matter of fact, most can be purchased at a discount store for under $3/each! A tray with a small, 4-cup coffee maker or Keurig with both coffee and tea options would also be a great addition to a guest room! 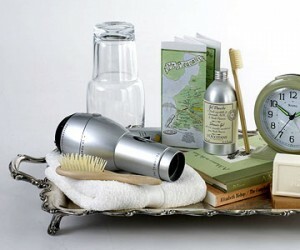 Create an environment of a deluxe hotel for your guest bedroom. In the bathroom, if possible, have a basket with travel-sized shampoo & conditioner, toothpaste and toothbrush and spray deodorant. Nobody wants to have ask for these items. Provide a dark washcloth for washing off make-up if your towels are light colored. Also, anticipate a difference in temperature and sound preferences. 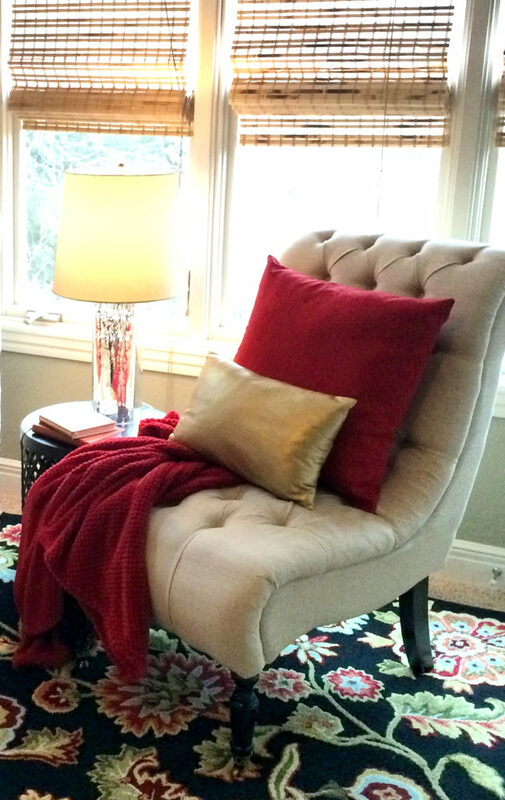 Add a cozy throw to the bed or side chair. Have a small fan available for both air circulation and ambient noise. People who cannot sleep get cranky, and that makes for a very unpleasant holiday. 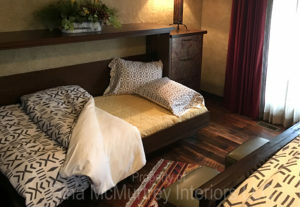 Think about how to carve out additional sleeping space if needed. Many rental companies have bunk beds available to rent short term if children will be staying with you. Invest in a good quality air mattress and top with regular bedding (including mattress pad!) There are many things you can do to host well in a small space. 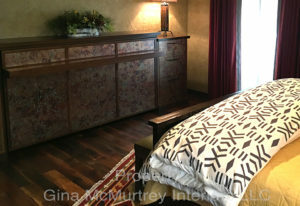 This client anticipated the need for additional sleeping arrangements and opted to have a custom Murphy bed made. While it may not be possible for you to accomplish this in a month, it’s still an option for next year’s holiday guests! There is still time to put together an attractive guest experience for Thanksgiving and Christmas guests! Plus, if you’re too busy to search out options on your own, an eDECORATING Plan is a great option for getting a direction and resources for what to do with your room. Even better — make a note of what your space needs this year and make more permanent changes before next year’s holiday season. Pouf! A natural way to add fun accent seating. Honed vs. Polished Granite and Quartz Countertops: What’s right for you?